*One fan suggested this excellent addition: “spend more money on my dog’s haircuts than on mine”. 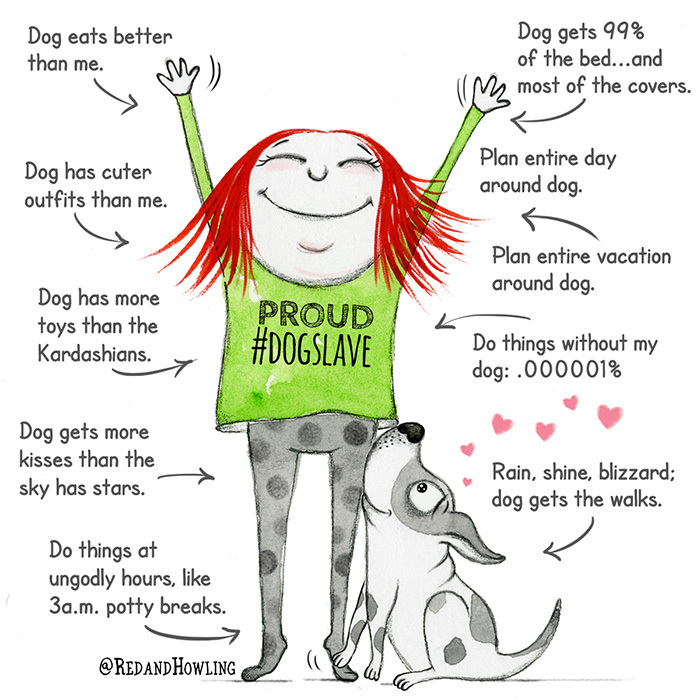 What are your #dogslave additions? Love this! So me! I just lost 1 of my pibbles Onyx to Lymphoma on Sept. 15th, and I have been heartbroken. This reminded me that I still have her sister, and she now gets double to love, etc.! Oh Jenefer I know exactly how you feel. I’m watching my 14.5 year old Basset getting more frail and I know he’ll be joining all my other Bassets soon. We lost our pibble a few years ago and I still miss him. It’s just so sad and there’s nothing we can do but love them while they’re with us. 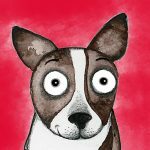 Jenefer- So very sorry about your pup who crossed the rainbow 🌈 bridge. Thank you! She was such a good girl, very loved, very spoiled, and very missed. I am sorry. I love dogs, but I can’t have one right now. I lost my 2 beloved Guinea Pigs barely 2 weeks apart last Dec. I am still working through it. I missed having a furry friend, so I adopted a young Guinea Pig last Feb. All three one year anniversaries are coming up. 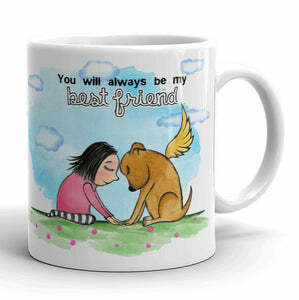 #Truth – My pups are the most important people in my life!!! My Pom Heidi goes to the hairdresser more often than I do. I have spent more on her hair and skin products than on myself. She’s my baby and I love her and her sister Hannah more than anyone or thing in the world. How about making a tshirt of thiis? My husband and I joke that we eat beans and rice so that we can afford to buy the expensive food and meds our doggies need to stay as healthy as possible. Luckily, we happen to like beans and rice! So true….and they are all loved and taken care of SO HAPPILY….would not want it any other way! They are truly THE BEST!!! Dog is singular but I have 4 and I rarely see any, plural as in “Dogs”.